With the Danes having done so well in the European Championship, the focus should be on carrying that form into their bid to reach the World Cup but with the team on strike, Friday’s friendly with the Netherlands was cancelled. The dispute has been simmering for months and late attempts on Saturday at forging a temporary agreement between the DBU and the Danish PFA floundered. 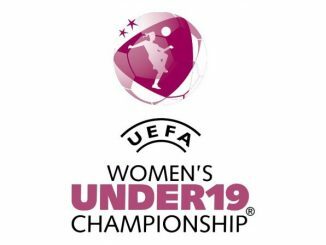 A real stumbling block appears to be that the new deal offered by the Danish FA sees the women’s national team no longer classed as employees. The DBU said that after several hours of negotiations and new offers, the Danish PFA announced that players are not available for Tuesday’s World Cup qualifier in Hungary. 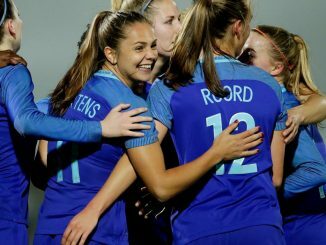 It is incredibly sad for both the women’s team and all those who follow and engage in the national team’s performance, “said Kim Hallberg, Senior Vice President of the DBU. The Danish PFA said they made two proposals on Sunday, one including an offer from the men’s national team, which would see £60,000 of their bonuses paid to the women’s squad instead. In a press release they said: Women must not have inferior rights than us because they are women. Therefore, we offer to deduct 500,000 Danish Kroner a year of our money requiring DBU to give the women’s team players the same rights as us. 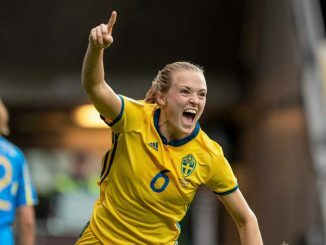 Pernille Harder, who captained Denmark at the Euros, said in a facebook statement: What we are demanding is only some prerequisites so we can become better football players. It’s not about becoming rich, it’s not about huge amounts of money. It’s about us not being forced to have a job, full time or part-time, or study. If we didn’t have all these things to think of and could focus 100% on football, what could that potential we showed at the Euros in the Netherlands then lead to? Meanwhile, Hungary remain in full preparation for Tuesday’s scheduled qualifying group tie. * Denmark players and the DBU are reported to have come to a ‘partial agreement’ that will allow tomorrow’s match against Hungary to go ahead.